W. W. Norton & Company, 9780393239577, 254pp. Winner of the National Book Critics Circle Award and finalist for the Pulitzer Prize, Blake Bailey has been hailed as "addictively readable" (New York Times) and praised for his ability to capture lives "compellingly and in harrowing detail" (Time). 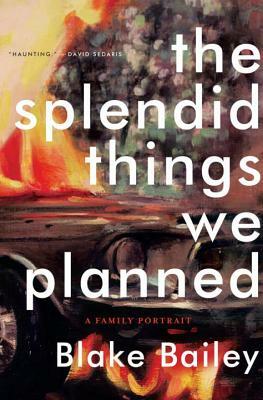 The Splendid Things We Planned is his darkly funny account of growing up in the shadow of an erratic and increasingly dangerous brother, an exhilarating and sometimes harrowing story that culminates in one unforgettable Christmas.